ALAMEDA, Calif. -- The crew of the Alameda-based Coast Guard Cutter Waesche seized more than two tons of cocaine worth more than $73 million from a vessel off the coast of Central America last month, Coast Guard officials said Thursday morning. The Coast Guard seized more than 416,600 pounds of cocaine worth over $5.6 billion between Oct. 1, 2015 and Sept. 30, a record for the service. Crews will offload more than 39,000 pounds of the drug at 10 a.m. this morning in San Diego, Coast Guard officials said. "With every interdiction, we learn more about transnational organized crime networks that generate profit and proliferate power from a laundry list of illicit activities," Vice Adm. Fred Midgette, the commander of the Coast Guard Pacific Area, said in a statement. "Coast Guard men and women not only keep drugs off U.S. streets, but they combat the influence of these criminal networks that spread violence and instability throughout the Western Hemisphere," Midgette said. The crew of the Waesche pursued the suspected drug smuggling boat, a self-propelled semisubmersible, in two vessels and an armed helicopter. Five smuggling suspects were removed and apprehended by Coast Guardsmen, officials said. Two Waesche crew members prevented the smuggling vessel from filling with water and destroying the evidence. "Our Coast Guardsmen face significant risks posed by dangerous criminal organizations," Capt. James Passarelli, commanding officer of the Waesche, said in a statement. 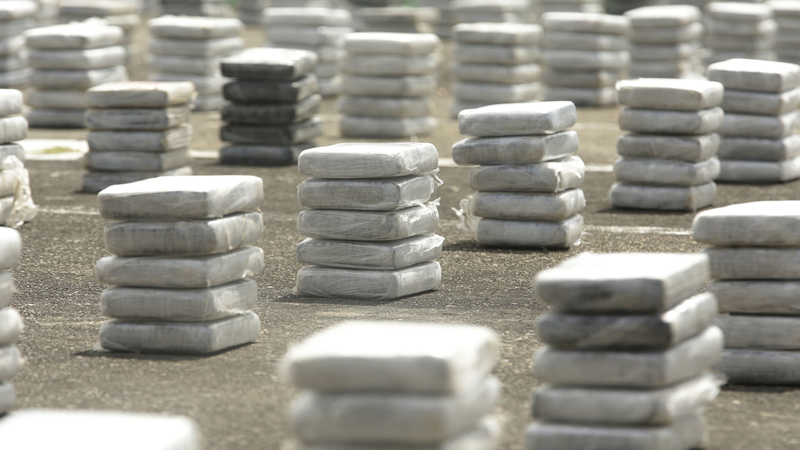 "Our crew preserved valuable evidence and kept millions of dollars of illicit narcotics off America's streets," Passarelli said. The Waesche's crew has seized nearly 21,800 pounds of cocaine in the last year. Alameda-based Coast Guardsmen in general have seized nearly 86,000 pounds worth more than $1.5 billion in the same time frame.